Is The XPETI Thermator Hiking Boots Tough Enough For Mountain Climbs? Full coverage and protection are essential with any hiking boot, and that is what makes the XPETI Thermator Hiking Boot so interesting. 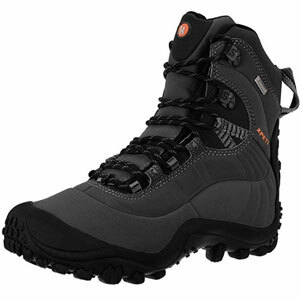 This boot comes in two different styles – a standard hiking boot and a hi-top boot. The latter should provide greater protection around the ankles and a secure fit. Still, the specification for both styles leads to some high expectations for comfort and security. Is this the case, or are there downsides to this approach? Walkingbootsreview.co.uk is a participant in the Amazon Europe S.à r.l. Associates Programme, an affiliate advertising program designed to provide a means for sites to earn advertising fees by advertising and linking to Amazon.co.uk. Copyright © 2019 · Walking Boots Reviews, All Rights Reserved.